View and download the Setoff Debt and GEAR flyer. ​WHO CAN USE THESE PROGRAMS? What is the difference between Setoff Debt and GEAR? The Setoff Debt collection program allows the South Carolina Department of Revenue (SCDOR) to assist in the collection of delinquent debts owed to claimant agencies through garnishment of individual South Carolina income tax refunds. The GEAR, or Governmental Enterprise Accounts Receivable, collection program provides a more flexible and comprehensive debt collection service. It establishes the SCDOR as a collection agency able to work on behalf of eligible and enrolled agencies to recoup owed monies. In addition to garnishment of state individual income tax refunds, GEAR collection efforts include garnishment of wages, use of tax liens, levy of bank accounts and revocation of licenses. 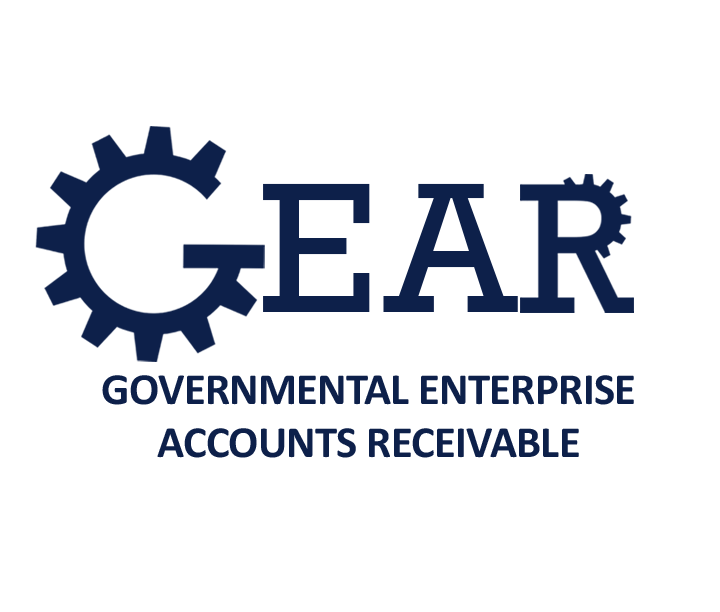 GEAR also permits debtors to set up payment plans to satisfy claims. Can my agency participate in both programs? Yes, eligible entities may participate in both programs but may not place the same debtor under each program at the same time. * The SCDOR recommends that debts greater than $300, which are less likely to be fully recovered through garnishment of tax refund, be submitted to GEAR. *Placing the same debtor within both collection programs at the same time could result in the improper attempt to garnish the debtor’s state individual income tax refund twice for the same amount. Can one employee be appointed to represent the claimant agency in both programs? Yes. If your agency participates in both collection programs, the agency may request to use one contact person. Please note that the designated contact person for the program(s) must differ from the designated hearing officer(s). Who appoints the claimant agency hearing officer? The claimant agency will appoint the hearing officer. To guarantee the debt due process, the hearing officer should be a disinterested and impartial party. The hearing officer should, however, have knowledge of the types of debts owed and the authority to consider and compromise debts if warranted by the facts of the case. What are the expectations of the claimant agency’s hearing officer? A claimant agency’s hearing officer is expected to hold informal hearings on behalf of the claimant agency upon notification of a debtor’s protest. At the conclusion of an informal hearing, the hearing officer must submit a decision to the SCDOR. Can private colleges and universities participate in the Setoff Debt and GEAR programs? Yes. Private institutions of higher learning are accepted in the program to collect debts related to default on authorized educational loans. Can a doctor’s office participate? A private doctor’s office cannot participate in the collection programs. Doctors’ offices that are owned and reside inside county hospitals may qualify to participate in the programs pending review. What if the claimant agency doesn’t have full Social Security Numbers? Participating agencies must provide the SCDOR with the full name and Social Security Number of the debtor. If participating in GEAR, the agency must also provide the debtor’s last known address. How can I determine if a claimant agency/organization is eligible to participate? How does a claimant agency apply for participation in the collection programs? Applications for participation can be found on the SCDOR’s website at dor.sc.gov. Claimant agencies may also contact the SCDOR and request an application. Once the SCDOR receives and reviews the completed application, our collection coordinator will contact the claimant agency with further instruction. When is the application for participation due? Does the claimant agency or the SCDOR notify the debtor of collection action taken? In at least 30 days prior to submitting a debt to the SCDOR, the claimant agency must send a notice letter to the debtor. If a debtor’s tax refund is garnished (Setoff Debt), the SCDOR will inform the taxpayer in writing of the garnishment. The GEAR collection program sends a notice to the debtor prior to any collection action. Does a claimant agency have to reapply for participation annually? Claimant agencies are required to submit a Notice of Intent for continued participation by August 31 of each calendar year to ensure new and existing debts are given proper priority. How long does it take for the claimant agency to start receiving collected funds from the SCDOR? The SCDOR strives to remit funds to claimant agencies within two weeks of the collection/garnishment date. During the height of income tax season (January through April) most Setoff Debt participants can expect to receive weekly payments. GEAR collections are remitted to participating agencies monthly. Is there a statute of limitations on the age of the delinquent debts submitted to the SCDOR? Is there a restriction on the type of debt a claimant agency can submit to the SCDOR? The SCDOR accepts all debts owed to claimant agencies except when the debtor is proven to be in bankruptcy, deceased or entered into a written active payment agreement with the claimant agency. What if a debtor contacts the SCDOR stating that the debt submitted by a claimant agency is a mistake? The SCDOR will refer the debtor back to the claimant agency to dispute the debt. The SCDOR will not make any adjustments to claimant agencies debts unless it is instructed to do so by the claimant agency. What happens when a claimant agency notifies the SCDOR that the debtor has filed a protest? Upon notification of protest, the SCDOR will stop all collection efforts for that debtor until the claimant agency notifies the SCDOR of the hearing officer’s decision. Please note that if the debtor files his or her income tax return prior to the protest hearing date/decision, the SCDOR will release the refund to taxpayer. What are the requirements when submitting debtor information to the SCDOR? Upon acceptance into the program(s) the SCDOR will furnish the claimant agency with requirements and layouts for submitting debt files. How will the claimant agency be notified if there is a problem with their debt file? The SCDOR collection coordinator will inform the claimant agency of any errors found on the debt file. Once a claimant agency has submitted a debt to the SCDOR, can adjustments be made? Yes. Claimant agencies participating in either program may submit updated debt files to the SCDOR reducing or deleting debt amounts. Once a claimant agency has submitted a debt file to the SCDOR, can new debtors be added? Yes. Claimant agencies may submit new debtors the Department after the initial debt file has been submitted. Due to different submission dates for each program, please refer to the important dates section of the information packet. If a debtor owes several claimant agencies, how is the allocation of collected funds determined? If the debtor owes multiple claimant agencies, the general priority scheme of claims to individual income tax refunds will be prioritized by category and then date of receipt of the Notice of Participation. If a debtors balance is not paid in full, does the claimant agency have to resubmit the debt information to the SCDOR? If participating in the Setoff Debt program the claimant agency must resubmit debtor balances each year in December until the debt has been satisfied. If participating in GEAR, the claimant agency does not have to resubmit the debtor information. Once the SCDOR has received the debt it retains the debt information until the balance is satisfied. Can out of state agencies participate in the Setoff Debt and GEAR programs? Yes. The definition of a "claimant agency" under the Setoff Debt Collection Act includes a "... governmental or quasi-governmental entity of any state of the United States." Can a claimant agency submit debtors who do not reside in the state of South Carolina? Will the SCDOR furnish reports to assist claimant agencies with tracking of debt? Yes. Upon request from a claimant agency, the SCDOR will furnish an inventory report containing debt balances and debts collected. Can a claimant agency collect on debt that was established when the debtor was a minor? Yes. A claimant agency can collect and send this debt to the SCDOR as long as the claimant agency certifies it has given the now adult debtor the due process right to challenge the debt. How does a claimant agency contact the SCDOR for more information? The claimant agency may submit a request for more information to the SCDOR’s collection coordinator by emailing setoffdebt@dor.sc.gov or by calling 803-898-5755.